Captain M. Habibur Rahman Khan, Master Mariner (U.K.), joined International Maritime Academy (IMA) as Nautical Instructor on 1st of January 2012 after 24 years of active sea carrier. His vast sailing experience mainly comprises of – 3 years as a Master in Liquefied Natural Gas Career (LNGC), 8 years as a Chief Officer in LNGC and product/oil tankers and about 8 years as a 2nd/3rd Officer in VLCC and Pure Car Career. He also gathered experienced in general cargo ship during his 3 years apprenticeship period. Lately Captain Habib has served as a Master on LNGC with Shell Ship Management Ltd UK, one of the leading oil major in shipping industry. During the progression of his career he mainly worked with Shell Ship Management, U.K for long 13 years and Barbership Management, Malaysia for 7 years. Capt. 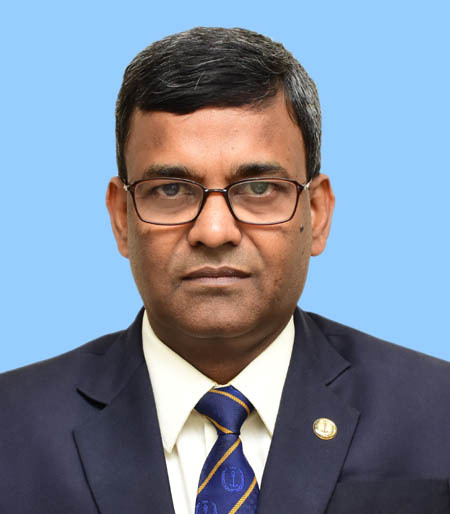 Habib completed his two years of pre-sea training from Bangladesh Marine Academy Chittagong (21st Batch) in 1986. Then he joined in Bangladesh Shipping Corporation as a deck cadet and on completion of 3 years onboard cadets training, he achieved his 1st Certificate Competency of Class-3 Deck from Cork Regional technical College, Ireland in 1990.In 1994, he achieved his Certificate of Competency of Class-2 (Deck) from Fleetwood Nautical campus, UK where he also obtained HND in Nautical Science. Capt. Habib is presently residing at Uttara, Dhaka. He is happily married since 1998 and is blessed with one son and one daughter.